A quote, a scripture, a thought to Help you Connect with God. Today is a good day to begin to pray differently. To pray with open hands instead of closed hands holding on so desperately to what you are afraid to let go of. 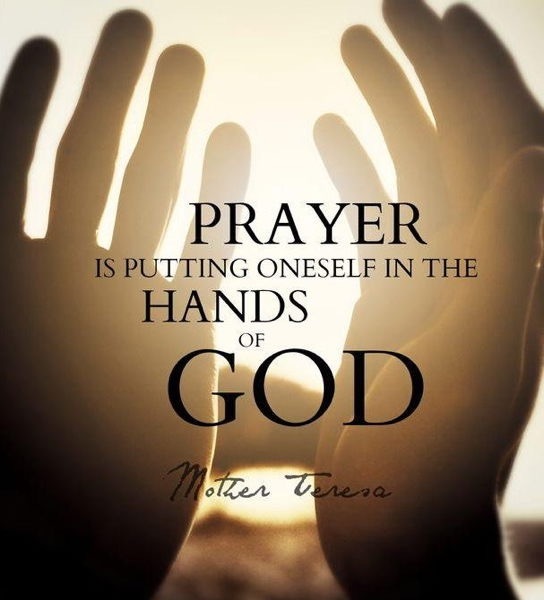 Pray and let God be God. Present your requests, petitions, hopes and desires to him and then let him do what only he can do. Give them to Jesus and leave the results to him. Release your expectations of how he should answer while at the same time knowing that he will. It will transform your life. Begin today to pray different. How hard is it for you to leave the results to God? What does it mean for you to let God be God in your life? Lord Jesus have your way, its always better than mine.